The Landscape of Alan Moore, which we discussed yesterday, awoke in me the interest to see another documentary on one of our scarce mad geniuses alive, the ever original David Lynch. 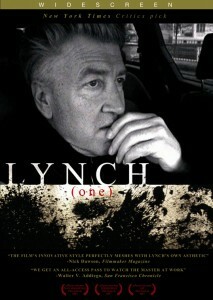 Lynch (One) covers a period of about two years (2005-2006) and witnesses the recording of some videos for DavidLynch.com affiliates, the creation of some of his pictorial works and the shooting of scenes for his most recent feature film Inland Empire. Unfortunately, the selection of rather unsignificant moments tells us very little about the character or his creative force. Forget being the best of anything. That’s the fruit of the action, and you do the work -they say- for the doing, not the fruit. You can never really know how it’s gonna turn out in the world but you know if you enjoy doing it. And ideas start flowing and you start, you know, getting excited about stuff. Then you’re having a great time in the doing and that’s what it’s all about. If you don’t enjoy the doing, then do something else. Lynch praises the virtues of meditation, as he did in Catching the Big Fish -which we can discuss some other day-, and invites all artists to medidate in order to -according to his words- reach a state of pure creativity. He then refutes the theory that the artist must suffer in order to create, and claims that artists will be more creative the happier they are. Beyond these claims, the apprentice genius -or even the Lynch fan- will get very little out of this boring documentary. Posted by Álex Hernández on Tuesday, August 24, 2010, at 0:02 am. Filed under Writing Workshop Tags:	Movies, shopping, review Follow any responses to this post with its comments RSS feed. You can post a comment.